It used to be that a low credit score made it more difficult to buy a home or secure a major loan. And while that can certainly be a problem, for many people not yet ready — or not interested in — home or other property ownership, their credit score was often an afterthought. Today, things are much different and your credit report and credit score have more far-reaching implications that can impact many things, from your ability to get a job or an apartment, to your ability to find a date (yes, really). Considering the impact it can have on your life, credit can be a source of extreme anxiety. Here are some of the things that can be affected by your credit score. In the past several years, credit checks have become a routine part of the home rental process. In fact, a 2014 study conducted by TransUnion found that 43 percent of landlords perform credit screening as part of the leasing process, and 48 percent surveyed said that results of a credit check are among the top three factors considered in accepting a lease application. When looking at credit reports, landlords may view an unstable financial past or payment history as a good indication of future behavior. If you do secure a lease, you will likely be subject to higher upfront deposits. For example, while some landlords require first and last months’ rent upfront, you may be required to pay an additional month or two upfront if your credit is poor. Coupled with with the previous point, this can be a double whammy if you’re moving into a new place. Utility companies — electricity, water, cable, phone, and Internet — also check credit as a routine part of the application process. Utility payment history isn’t part of your credit report, so even if you’ve paid your utilities on time in the past, that won’t work in your favor. 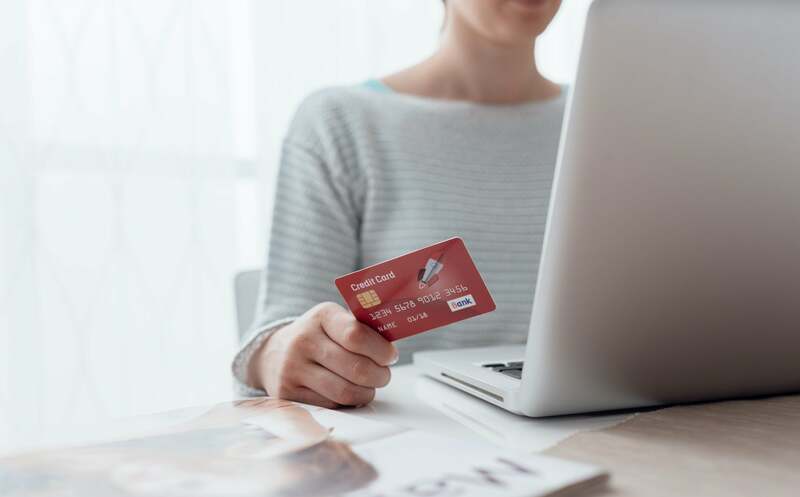 If you have poor credit, you’ll typically be required to pay a security deposit on these services in order to be granted service in your name. That deposit is required upfront before services will be activated. This applies to both car insurance, and property insurance for those who do own homes or other property. While illegal in some states, a number of car insurance providers correlate making late payments with reckless driving behavior and will therefore raise rates or deny auto coverage altogether to consumers with poor credit scores. A study by InsuranceQuotes found that premiums double for drivers with poor credit. When it comes to home insurance, some providers also place punitive rate hikes on customers because they perceive a connection between low credit scores and high insurance claims. Just as with car insurance, you could see your property insurance rates as much as double unless you live in a state where this practice is illegal, such as Hawaii or Maryland. We’d all like to believe our personal life or circumstances should not impact our professional life, but that’s not the case when it comes to job hunting. As with applying for a lease, it’s now standard practice for employers to conduct a full background screening, including checking a credit report. While a dozen states have enacted laws prohibiting the use of credit reports as a factor in hiring, nearly half of all employers — 47 percent — have reportedly used credit reports when vetting potential job prospects. Let’s face it. Even though we know it’s good practice to keep an emergency fund, we all have situations for which we’re financially unprepared and which catch us off guard. These include everything from an unexpected major car or home repair, to a pet’s illness, to our own surprise medical bill. Unfortunately, even smaller loans to get out of a pinch can be unattainable when your credit score is low. Even if you are granted credit, you can expect significantly higher interest rates on credit card and all types of loans with a low credit score. If you do happen to be a homeowner, this can complicate even a simple refinance and prevent your from being able to access equity in your home. On a more personal level, poor credit can also impact the personal relationships in your life. Many people who are denied credit have no other option but to turn to family or friends for financial assistance. If loans aren’t repaid in a timely manner — or worse, aren’t repaid at all — it can strain and even permanently damage relationships. And if you’re thinking of looking for love online, it seems that dating sites are even now credit conscious when it comes to finding your perfect match. If a low credit score is negatively impacting your life, a reliable legal expert that specializes in credit repair can help. If you’d like more information from trusted legal experts in credit repair, contact Lexington Law today. We’ll help you understand your rights, and leverage them to ensure that you have a fair, accurate, and substantiated credit report. This entry was posted in Credit 101 and tagged bad credit, credit report, insurance, interest, rent. Bookmark the permalink.